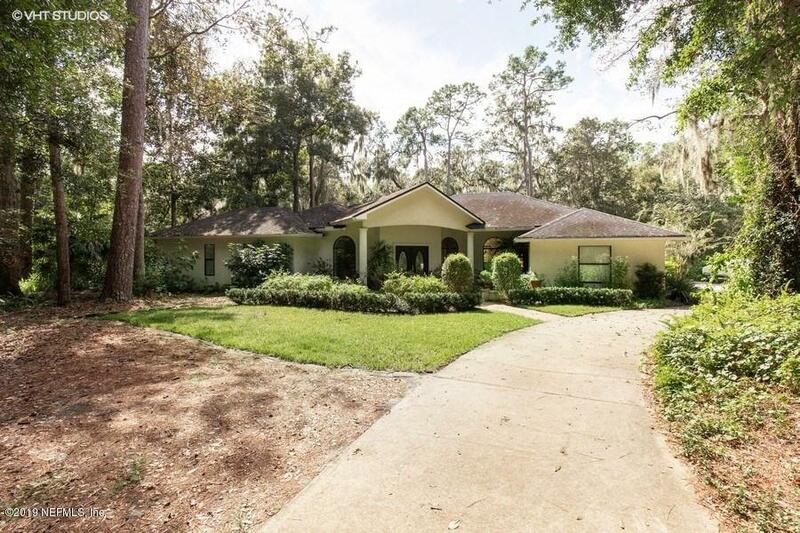 Tucked away down a quiet street lined with beautiful, mature trees, this spacious home has all of the peaceful privacy of living in the country yet is a short drive to the many conveniences of San Jose Blvd with easy access to I-295! Contemporary lines lend an open and airy feel, and the unique floorplan offers private spaces for everyone. Office/den off kitchen overlooks back yard. Spacious living room with fireplace leads out through two sets of french doors to rear patio where you can rest and unwind while enjoying your beautifully landscaped, private back yard. This home has been lovingly cared for by its original owners and is ready for you to make it your own!